Smart marketing begins with a strong foundation.  And to help you create a strong marketing foundation, we are in the process of developing a number of marketing tools, available here for purchase. These tools aim to optimize your company's marketing strategy & execution. Developing buyer personas is an essential step in establishing your marketing foundation. Buyer personas can help you drastically improve how you market your company and products, and result in better quality of leads for your business. Behind successful outbound marketing are powerful marketing messages. 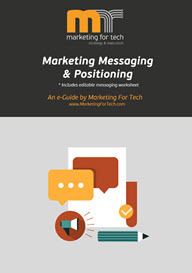 This e-Guide enables you to create messages that communicate your company's positioning and product’s unique value to your customers.